At the end of September, recipients of DACA were in a frenzy to file for a final 2-year renewal of their DACA status. The deadline to file for the final 2-year renewal was October 5th, 2017. Only individuals currently receiving DACA, whose status was to expire before March 5th, were eligible to apply for a final renewal of their status, provided their application was properly filed and received by the United States Citizenship and Immigration Services (USCIS) by October 5, 2017. Following the October 5, 2017 deadline, USCIS rejected nearly 100 renewal applications, even though the cause for their delay was the fault of the United States Postal Service (USPS). At least 74 of the applications received after the deadline were mailed from the New York area and Chicago. USPS has taken responsibility for these delays, stating that the packages containing the DACA renewal requests were rejected as a result of mail problems in Chicago. Last week, USCIS flatly denied any responsibility for these late petitions, and said that nothing could be done, and that the decision to reject petitions received after the deadline was final. However, USCIS recently had a change of heart. Yesterday, November 16, 2017, USCIS released a statement notifying affected individuals that USCIS will accept DACA renewal requests from individuals who re-submit their DACA renewal requests, and provide individualized proof that their DACA renewal request was originally mailed to USCIS in a timely manner, and that the cause of the petition’s receipt after the October 5th deadline was the result of USPS mail service error. In their statement, USCIS acknowledged that USPS had experienced mail service delays that ultimately resulted in the rejection of numerous DACA renewal requests received after the deadline. Because the DACA program has now been terminated, and individuals can no longer request DACA benefits, Acting Secretary of Homeland Security Elaine Duke, is providing relief to all affected individuals by allowing them to resubmit their DACA renewal requests with proof that their packages were affected by USPS mail service error. 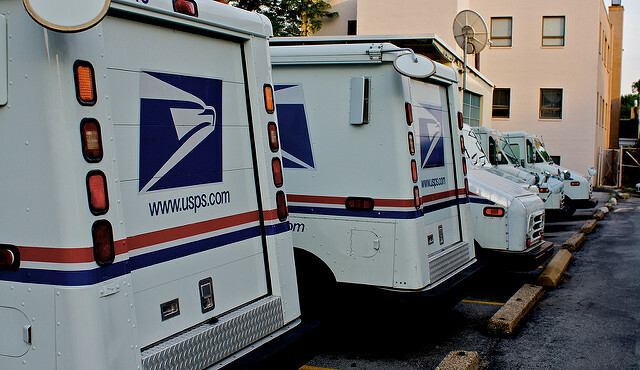 Individuals who are unable to provide any proof that their packages were not received by the deadline because of USPS mail service error, must contact USPS, who will open an investigation as to the cause of the delay on an individual basis, and can provide a letter where appropriate as proof that the package was affected by mail service delays. With that being said, USCIS will deny any requests that DO NOT contain “individualized proof that the request was originally mailed in a timely manner to be received by the October 5 deadline, and that the cause for receipt after the Oct. 5, 2017, deadline was the result of USPS mail service error.” Individuals should NOT re-submit a renewal request without such proof, or in the alternative without a letter from USPS. Individuals whose DACA requests were received by the filing deadline, but were rejected, will be contacted by USCIS and have an opportunity to re-submit their DACA renewal requests. RECOMMENDATION: DO NOT mail your re-submission using the United States Postal Service. Send any resubmissions using a courier service (FedEx, USPS) that requires a signature confirmation as proof that the package was received.